..WARRANTED 32K...NOT RUN IN AT THIS MILEAGE,FINANCE AVAILABLE WITH NO PAYMENTS FOR THE FIRST 2 MONTHS AND NO DEPOSIT TO PAY,we also do a NO VAT TO PAY up front finance scheme,supplied with full mot,oil change,3 months RAC warranty and 12 months RAC road side assistance and recovery and our in house RAC APPROVED pre delivery inspection,ply lined,bulk head,a really nice van all round and don't miss this one as very RARE with this LOW LOW MILEAGE...FCA REGULATED DEALER..HPI APPROVED DEALER..ESTABLISHED OVER 20 YEARS...LOOK AT OUR 5 STAR AUTO TRADER REVIEWS..BUY WITH COMPLETE PEACE OFF MIND AND WITH FULL RAC MECHANICAL BACK UP..
Get the best deal on a used Nissan Primastar van for sale in Batley by making your way to Ex Fleet Van Sales Limited today. 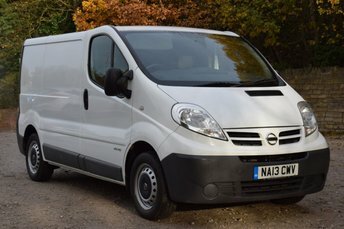 You will find every available model listed here on the website, and as all our stock is competitively priced you should have no problem sourcing a pre-owned Nissan to suit your budget. Take the opportunity to browse our current range online before contacting a member of the showroom team to find out more. Our friendly and knowledgeable staff will be more than happy to answer any questions and provide advice and guidance when necessary. 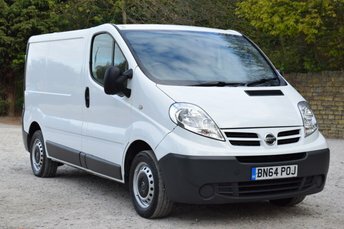 Alternatively, why not pay a visit to our showroom in person and take a closer look at the selection of used Nissan Primastar van models for sale.